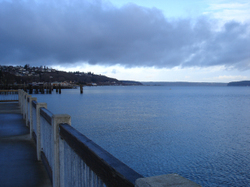 Point Ruston's Waterwalk is bike and family friendly! Bring your wheels and your pooches to the waterfront. Could new parks form a protective barrier around Manhattan to stop flood damage? Do you want a clean, beautiful, accessible waterfront for our children and grandchildren in the future? Let the Tacoma City Council know your dreams for our waterfront. Tacoma's Shoreline Master Program guarantees a continuous waterfront esplanade for Tacoma citizens to walk and ride. 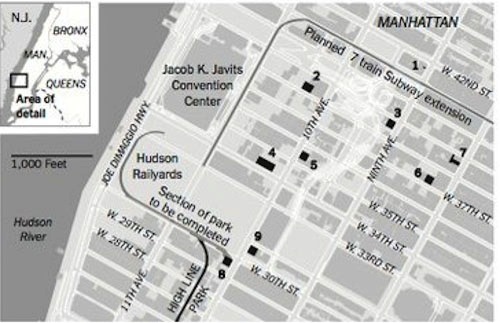 Do you want a continuous 7 mile waterfront walkway and bikeway? Or are you okay with the separate unconnected segments we have now? Send an email to City Council now to make sure they follow through on the commitment to connect The Tacoma Dome with Point Defiance and complete our 7 continuous miles of waterfront recreation. Congratulations to Metro Parks and Point Ruston for building the pedestrian and bike bridge between Waterwalk and Point Defiance Park. Wilson Way is the newest connection to Tacoma's waterfront with spectacular views of Commencement Bay and Puget Sound. We support the Schuster Promenade plan to connect Ruston Way walkways with The Tacoma Dome, Thea Foss waterfront and LeMay America's Car Museum with Point Ruston's Waterwalk to Point Defiance Park, zoo, aquarium and Owen's Beach... all along the beautiful shoreline ... and to be wheel-friendly, foot-friendly and ADA compliant ... so all can enjoy the rest of our 7 miles of shoreline. This is the missing link in the Dome to Defiance waterfront walkway. You will begin to see crews working to thin the invasive species trees along Schuster Slope starting in October 2016. More than 60 citizens attended the Landmark meetings in 2014 and 2015 to show their support for the Schuster Promenade plan. MetroParks has developed a plan to manage the storm water run off and hillside ecosystems above the new Schuster Promenade and along Schuster slope. Thank you to all who biked, strollered, skated, walked and volunteered on Sunday September 11th at Metro Parks 4th annual Sunday Parkways Downtown to Defiance Walk Run Roll Bike along our 7 miles of waterfront. We all enjoyed almost 7 miles of the beautiful Tacoma waterfront clear of car traffic! This is an event for walking, bicycling, skateboarding, pushing strollers, scootering, rollerblading - whatever human-powered travel mode you can imagine! It was a wonderful, free Sunday Parkways annual event, the only one like it in Tacoma-Pierce County. Downtown to Defiance is a free Open Streets event. Thank you for voting Yes for the MetroParks capital bond measure. Since 1947, Tacoma citizens have been working to complete a 7 mile beautiful and accessible waterfront walkway from Point Defiance to the head of the Thea Foss waterway. Waterfront cities around the world are expanding waterfront access for citizens and visitors to enjoy. Tacoma has the unusual geology providing 7 continuous miles of flat, sea level shoreline. This could be perfect for healthy pedestrian, wheel-friendly, aquatic-loving lifestyles. On Ruston Way lately I feel a little Brando. You remember: Marlon, "On The Waterfront" in Hoboken, torn between a better future and loyalty to the past. He coulda been a contender - like the west side of Commencement Bay and the big-time dream of a Dome-to-Defiance esplanade, weighed down by history. Hear the bell? There's one more round. We keep moving our feet, we can step toward the dream. Attractive urban waterfronts use a few key principles: parsing, anchors and flow. "Parsing" means deciding which parts of the waterfront are for industry and which are for urban amenities. A de facto agreement between the Port of Tacoma and the city designates the east side of the Foss industrial, the west side urban. This is an important achievement. "Anchors" are major attractions, like big-name stores in malls. Parks and restaurants aren't enough; a vibrant waterfront needs anchors roughly every half mile. We already have a fistful: the LeMay-America's Car Museum, the Museum of Glass, Point Defiance Park and, coming soon, Point Ruston and the renewed Foss Waterway Seaport. It's an enviable collection. "Flow" means the route is easy to traverse in both directions, on and off. People can't feel trapped or dead-ended. Flow is our one big problem, manifested by two sites. The first is a grain elevator, leased by Cargill Inc. from the port. The lease expires around 2025. Let's defer this one; a lot will change in 12 years. Sperry Dock is the opportunity now. It's owned by out-of-state investors and managed by a Burien company. The federal government leases Sperry for two ships in the "ready reserve force" (RFF). Sperry's owners obey the law, create jobs and pay $5,000 in annual property taxes for their two acres of waterfront. Sperry renegotiates its contract with the government in 2013. Should we support a renewed contract or encourage a use more compatible with the vision of an urban waterfront? The RFF ships are planned redundancy. When the military needs marine transportation, it turns to the Navy; if the Navy can't help, the call goes to the Merchant Marine, a fleet of almost 500 vessels. And if there's still a need, the RFF is used. But must these two ships dock on Ruston Way? The investors respond in two ways.  They say the ships help protect Joint Base Lewis-McChord from the threat of closure. But in 2008, JBLM reported that the ships are not part of its "power projection platform" - that is, they're not part of JBLM's core strategy. And even if the ships were necessary, Ruston Way isn't an essential location. Across the bay or in San Diego is close enough.  Sperry employs about 20 people, including some Tacomans. These jobs probably pay well. If Sperry is repurposed, we'll need good new jobs to replace those lost. But this is nothing new; jobs are lost and created constantly. If we accept the loss of the ships, who might buy the site? Continued moorage is unlikely. The current dock is "grandfathered" in; the shoreline ecosystem is fragile, and other large ships would be prohibited. However, there's potential to make money selling environmental cleanup credits. But the two acres could host an "anchor" attraction - like a Native American cultural center. It could be an immense educational and entertainment experience. (A shuttle to casinos? Fine with me.) Or a saltwater science center (without casino shuttle). Metro Parks is thinking about its next bond issue, and bond campaigns need flagship projects. Tacoma School District's Science and Math Institute could use such a center and create synergy with Urban Waters and the University of Washington Tacoma. Sure there are problems with these ideas: crossing the tracks, a busy roadway, money. But dozens of American cities have solved the same problems; we know how. Next year, with the expiration of Sperry's federal contract, we have an historic opportunity to bring the waterfront dream to life. To paraphrase someone - coulda been Brando - when circumstances open a door to the future, we should walk through. The door is open; we just have to move our feet. The Port of Tacoma Public Access plan is not in the best interest of the majority of citizens of the State of Washington and certainly not in alignment with the City of Tacoma's Master Mobility Plan, the Washington State Shoreline Management Act or the vision and goals of Walk the Waterfront. There is only one Commencement Bay shoreline public access project to which all of the energies, planning and funding should be directed. That public access project is the Dome to Defiance waterfront esplanade with safe, flat, bike lanes, ADA accessible sea-level paved walking paths and nearshore blue trails free of creosote soaked pilings for people-powered transportation and healthy community building. At least seven neighborhoods in Tacoma have streets or sidewalks which already lead down to areas along the southern rim of our Commencement Bay or to Thea Foss shorelines. Our region's growth management, economic, and transportation strategy, VISION 2040, was designed to meet the needs of the 5 million people expected to be living in our Western Washington region in 2040 (compared to the 3.7 million people living here today). This integrated, long-range vision for the future presents the strategy for maintaining and growing a healthy region through promoting the well-being of people and communities, economic vitality, and a healthy environment. We encourage you to look to the success of New York City's most popular new park the 1.5 mile HighLine as a method to transform regions beyond the boundaries of this totally flat walkway that winds through New York's former meatpacking district, offering recreational connectivity with views of the water, historic buildings and skyline while walking or sitting on benches. 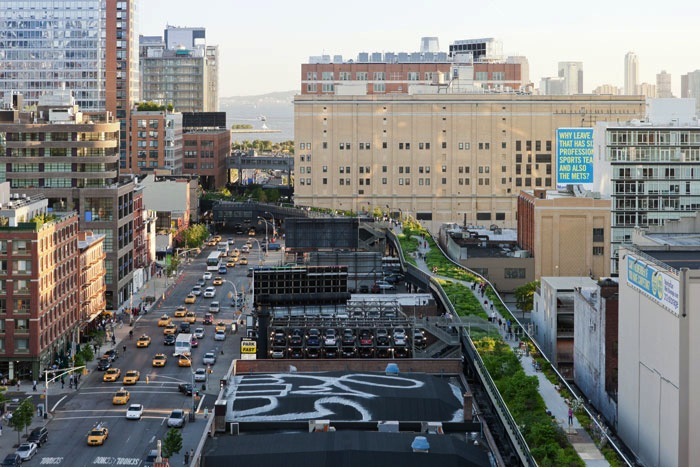 In January 2012 Travel + Leisure named the High Line as No. 10 on its list of the world's most popular landmarks. 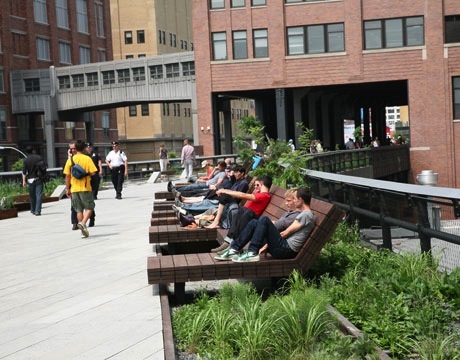 3.7 million visitors enjoyed the HighLine in 2011. Embedding the old railway tracks in the ADA accessible walkways and through some of the greenscape provides an artistic and historical blend of old with new. Tacoma has already built the Glass Bridge which carries pedestrians and cyclists from historic downtown Tacoma across a multi-lane highway to our Thea Foss waterfront esplanade and ultra modern Museum of Glass. 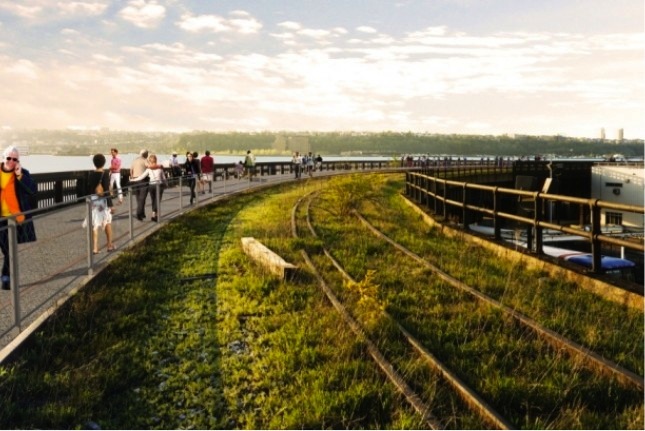 Trestle bridges like the HighLine and our Museum of Glass Bridge concept should be designed and constructed through our 1.5 mile Schuster waterfront to carry pedestrians and cyclists around the grain terminal and connect our Thea's Park with Chinese Reconciliation Park. With the opening of LeMay America's Car Museum and Chambers Bay Golf Course, site of the 2015 US Open, as well as continued expansion of University of Washington Tacoma, it is incumbent upon our community and leaders to complete the recreation destination which links our museum district and convention center with our zoo and Point Defiance Park and all waterfront points between. The HighLine is the most visited park per acre in New York City. 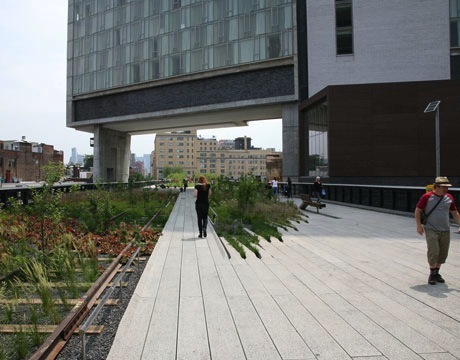 To see the HighLine park in New York City, click here. 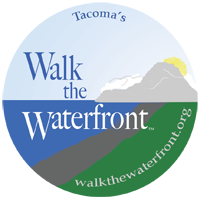 Walk the Waterfront believes that Tacoma can enhance our community greatly by creating mobility opportunities for all. Bringing continuous public access at and along our waterfront will improve quality of life for the highest concentration of residents and create a tourist, convention and recreation destination to elevate our museums, businesses, universities and Washington state economy. According to the Puget Sound Regional Council, Tacoma won the Vision 2040 Award for its Mobility Master Plan. Click to read the August 23, 2011 Vision 2040 award press release. Tacoma adopted its Mobility Master Plan in 2010 with the goal of developing a comprehensive network of bikeways and pedestrian walkways citywide to enhance the comfort and safety for all. The plan includes a comprehensive set of bicycle and pedestrian guidelines, including an emphasis on complete streets, specific strategies for high traffic areas like the Tacoma Dome, and accessibility transition guidelines. In addition, the plan focuses on a bicycle network of 'boulevards' which are generally slower-paced, tree-lined residential streets that connect to trails, an emphasis that has moderated safety concerns and increased interest in bicycle commuting. 'Tacoma's plan is a model for how we can make great urban places even better to support jobs and a high quality of life well into the future,' said Josh Brown, Kitsap County Commissioner and PSRC President. With more than 50 miles of trails joining in the Tacoma Dome district, Tacoma City Council has the opportunity to apply the promises of the Tacoma Master Mobility Plan to create flat waterfront Dome to Defiance connectivity to link the many neighborhoods and districts located throughout our hilly Puget Sound region. The Washington Shoreline Management Act (SMA) was adopted by public referendum in 1972 'to prevent the inherent harm in an uncoordinated and piecemeal development of the state's shorelines.' The current SMA has three broad policies: 1) Encourage water-dependent uses; 2) Protect shoreline natural resources; and 3) Promote public access to the shoreline. The Port's Public Access plan creates piecemeal, uncoordinated development of the state's shorelines. The Port of Tacoma Public Access plan would create what the SMA identifies as: "piecemeal, uncoordinated development"
Focus on our largest natural gift - our shoreline to strengthen community and build economy through completing the connections along our shore. Complete the Dome to Defiance to support jobs and a high quality of life well into the future! Tacoma has 7 miles of sea level shoreline between the Dome-Museum-UWT-Convention Center district and Point Defiance Park and Zoo. Much of this waterfront has public access ... but it is not continuous. There are missing links along our waterfront. Our shoreline is getting healthier with eelgrass fringing beds and intertidal biodiversity returning. To read learn about biotic community habitats, click here. It is critical that we continue to speak up to protect a flat, beautiful, sea level waterfront walkway and bikeway connecting the Thea Foss esplanade with the sidewalks and parks along Ruston Way. Click here to email your ideas to make enjoyable Commencement Bay and Puget Sound waterfronts for the citizens of Pierce County and visitors to our area. Thank you to all who have written letters and spoken at public meetings to help accomplish this. 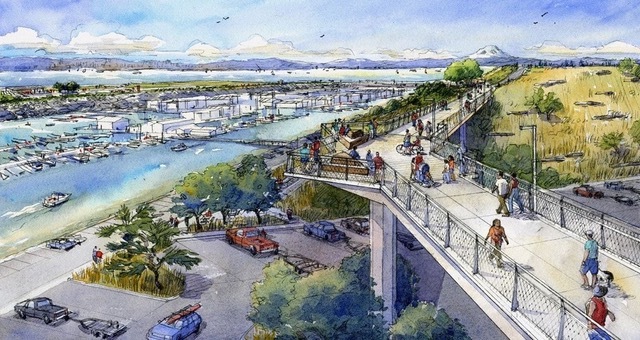 We support planning the Schuster Promenade to connect Ruston Way walkways with Thea Foss waterfront along the water and to be wheel-friendly, foot-friendly and ADA compliant ... so all can enjoy our shoreline.